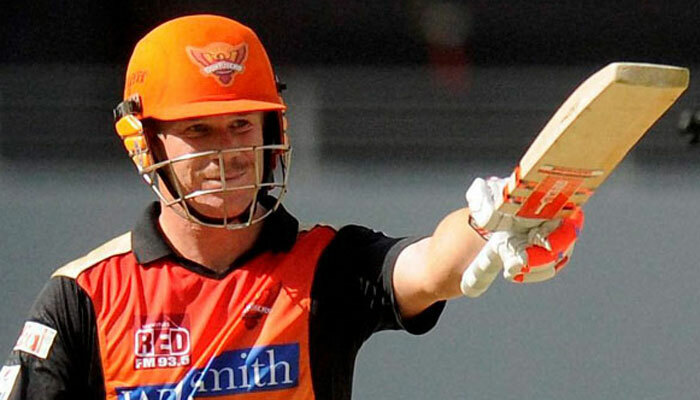 In their captain, David Warner, Sunrisers Hyderabad have one of the best T20 batsmen in global cricket. With a batting rating of 1.24, he is ranked as the 6th best batsman in my ratings and there are very few signs of any weaknesses in his game. He scores significantly faster than the average batsman, whilst being dismissed significantly less regularly. He has a strike rate of 139.0 against spin bowling and 142.6 against non-spin bowling and is also a player that is a fast starter at the beginning of his innings, with a strike rate of 122.0 in the 1st 10 balls that he faces. Whilst he does sometimes have a tendency to be dismissed early with 30.9% of his innings having between 0 and 9 runs scored, if he reaches 20 runs, he converts that into at least a half century over 50.0% of the time. Kane Williamson is the other overseas batsman in their line-up and despite his excellent test record, his T20 rating of 1.08 means that, while comfortably above average, he is far from an elite performer in this format. He is a player that does not really have the ability to score significantly above average with a strike rate of 123.5, which is only fractionally above what one would expect from an average batsman in his position. Among the overseas bowling options, Sunrisers Hyderabad have recruited well. In Mustafizur Rahman, Rashid Khan, Chris Jordan and Ben Laughlin, they have four bowlers that can be very effective when used correctly. 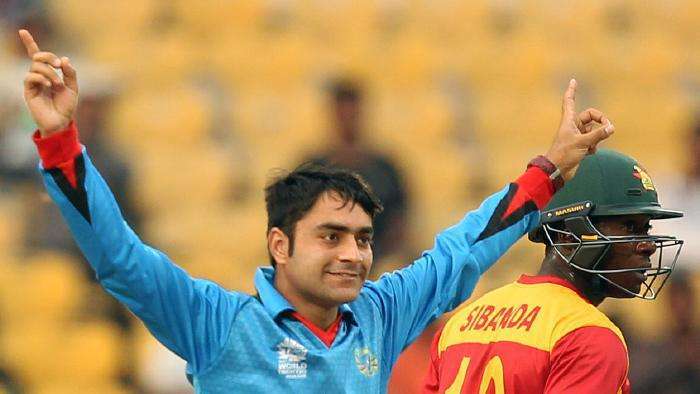 18-year old Rashid Khan has a bowling rating of 1.12 for the middle overs and 1.08 for the death overs and is a very dangerous wicket-taking bowler as well as having above average economy. Mustafizur Rahman has an incredible 1.41 rating for the powerplay overs, driven in particular by an outstanding economy rate. He is not a huge wicket-taking bowler, but he is very difficult to score off. He could potentially form a decent partnership with Ben Laughlin, whose powerplay rating of 1.22 is driven more by wicket-taking than by economy. However, it would be advised not to use Laughlin toward the death, where a rating of 0.91 is pretty poor and he both takes fewer wickets and concedes more runs than might be expected. Chris Jordan is another player with a reputation as a death bowler, but his most effective use might appear to be as a wicket-taker during the middle overs, where he has taken 20 wickets compared to an expected 16.4 during his career. Among the all-rounders, Ben Cutting is just about fine as a lower order hitter, but his bowling rating of 0.87 suggests that he is probably not really the best option. In addition, a real struggle against spin bowling means that the IPL may not be the best place for him to make an impact. A couple of recent innings against Ireland have suggested that Mohammad Nabi might be another option as a lower order hitter, although that has been somewhat at odds with the rest of his career. Similar to Cutting, his bowling rating of 0.90 is not great either. Moises Henriques is a significantly better batsman than either Nabi or Cutting and has a better bowling rating as well, so he is really the all-rounder option that you would look at among the overseas players if required. In Ashish Nehra and Bhuvneshwar Kumar, the Sunrisers Hyderabad have two slightly above average bowling options. Kumar is similar to Mustafizur Rahman in that he relies more on a good economy rate than wicket-taking, while Nehra is more rounded, but they give the team two solid fast bowling options. Barinder Sran played plenty of matches last year, but a bowling rating of 0.96 suggests that there are better options in the squad. Spinner Pravin Tambe burst onto the scene in 2013 and 2014 (albeit at the age of 41) and while his rating has dropped since then, he still has an overall bowling rating of 1.12 and is a wicket-taker during the middle overs. Whilst the overseas all-rounders did not really have any obvious standouts, Bipul Sharma looks a very tempting option among the domestic players. While he has limited batting experience at this level, he looks a serviceable lower order hitter with a strike rate of 160.6 and his bowling rating of 1.04 makes him an option with the ball. On the other hand, Deepak Hooda has a batting rating of 0.90 and a bowling rating of 0.82 meaning that he really should not be getting much game time in this team. With a batting rating of 1.03, Shikhar Dhawan looks to be a very similar player to Kane Williamson. He is not a particularly rapid scorer with a strike rate of just 121.6, but he is capable of hanging around and holding up an end. With other more attacking batsmen around him, he is a useful player, but Sunrisers Hyderabad do run the risk of ending up with Dhawan and Williamson batting too long together while scoring too slowly if they find themselves at the crease together. 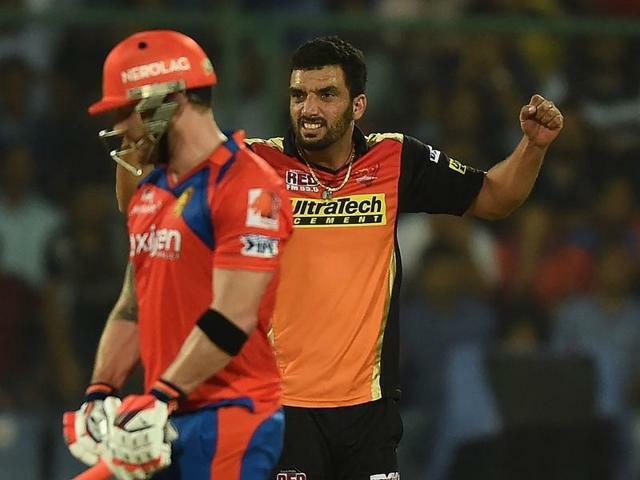 Naman Ojha seems likely to be the keeper for Sunrisers Hyderabad, but with a batting rating of 0.78, he is not a player that they are likely to want to rely on for too many runs. That leaves Yuvraj Singh, whose batting rating of 0.93 suggests that he is well past his prime and, whilst his record of 14.7 balls per six is solid, he also faces too many dot balls (36.7%), which does not help when they do not have too many other boundary hitters in their squad. The bowling options for Sunrisers Hyderabad look very solid with Nehra, Kumar, Tambe and Sharma giving them options among the Indian players and plenty of talent to supplement among the overseas recruits. However, they are going to need to rely on the bowlers in plenty of their matches this year as the batting looks worryingly short. While there may be a lack of real top quality death bowlers on this team, they have wicket-taking options in both the powerplay and middle overs and two very economical bowlers in Mustafizur Rahman and Kumar to build the pressure. David Warner is the real standout in this team and they are going to need him to be at the absolutely top of his game. Kane Williamson and Shikhar Dhawan are solid options and, if their bowlers can restrict opposition teams to manageable totals, they should be adequate. However, they do not seem to have the players that are likely to be able to set or chase large totals, which could be an issue if the bowlers do not live up to expectations. Great! It is fun and exciting. I like this match. Thank you very much!